When we first met LilleBaby at Club MomMe Fest! When I was pregnant with our first child my husband and I knew that we wanted to a baby-wear. At that time the only thing we knew about baby-wearing was that it is great for bonding. We knew nothing about carriers, wraps, soft structured carriers, ring slings, etc. However, we could not wait to have our first child so that we could wear our baby with pride all while bonding. Our first soft structured carrier (SSC) and our first wrap were hand-me-downs from my bother in-law and his girlfriend. My husband and I were so grateful to receive those gifts. I used the wrap faithfully at home to bond with my newborn, to be hands free, and for skin-to-skin. We both enjoyed using the SSC during family outings and errands. As I met more family's in the baby-wearing community I was able to experience and borrow a variety of brand carriers and wraps to try for comfort. They all felt the same to me. 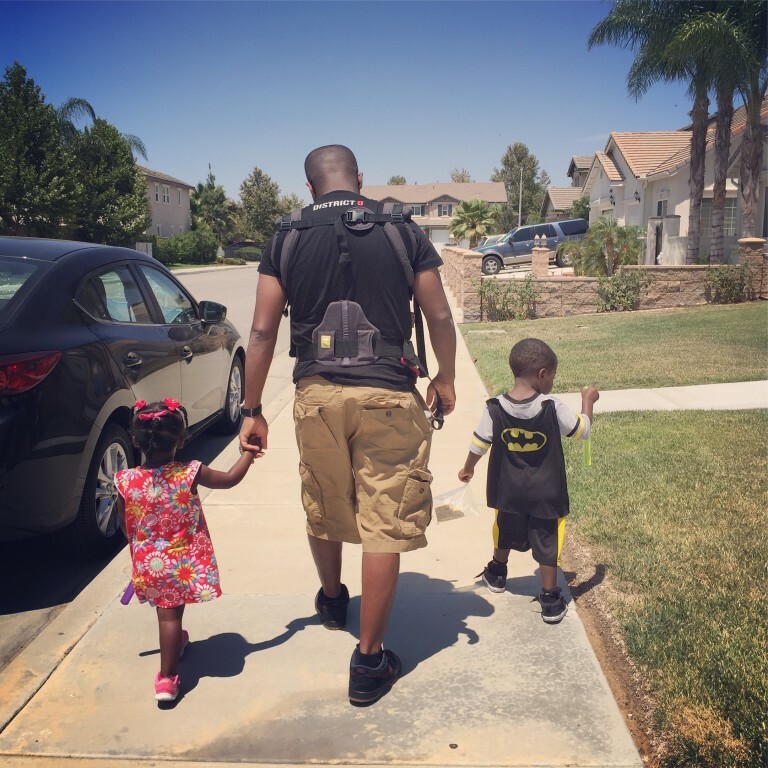 They weren't super comfortable, they didn't allow for baby-wearing for long periods of time, but I sacrificed the discomfort for the sake of my time with my children. One day we went to a Club MomMe Fest and our baby-wearing lives were forever changed! 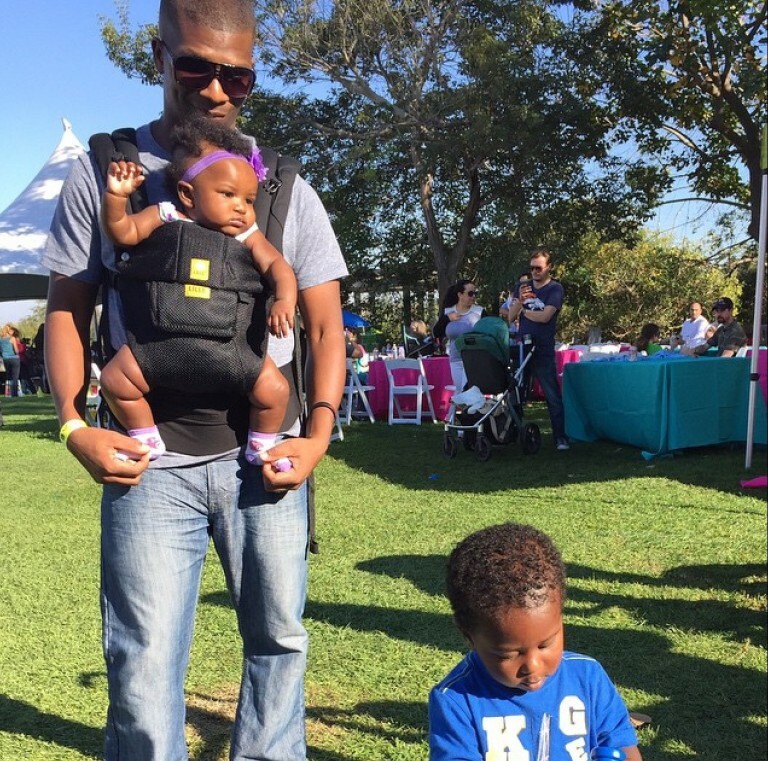 During the event my husband was wearing our, at the time, 6 month old daughter and walking around with our son. He was simply browsing the booths, meeting new people and learning about new baby products. He was then introduced to Líllébaby! The kind ladies at the Líllébaby booth invited him to trade in our SSC that he was wearing in order to try a Líllébaby for the rest of the day. The only caveat was that he had to return the loaner Líllébaby back to their booth at the end of the day. Can I just tell you all that he immediately fell in luv with the Líllébaby carrier! He wore it until it was time to go home, he wouldn't even let me get a chance to experience the joy of it that day. It was then that he absolutely had to have a Líllébaby carrier! A few weeks after the event we received our first Líllébaby carrier in the mail. Our first Líllébaby carrier is an All Seasons Complete. He was so happy to have a new carrier and very excited to show me how to use it. Once I tried the Líllébaby there was no turning back to any other carrier. At that moment I realized that baby-wearing is so much more comfortable and enjoyable with the right carrier. All along we were living with the the wrong carrier for us! Líllébaby was a game changer for our baby-wearing experience. Our other carriers and wraps were quickly tossed in the closet to collect dust once we started wearing our kids in the Líllébaby. Needless to say, I am so happy that we have been introduced to Líllébaby. Their SSC's have truly met our baby-wearing needs for our newborn, our 2 year old and our 3 1/2 year old. We don't have the luxury of owning a library of carriers, but it's nice to have a carrier that works well for my kids at all stages of their life up to the weight maximum. Líllébaby has made me truly love and appreciate baby-wearing. My carrier is not only functional on many levels, but it's also fashionable. 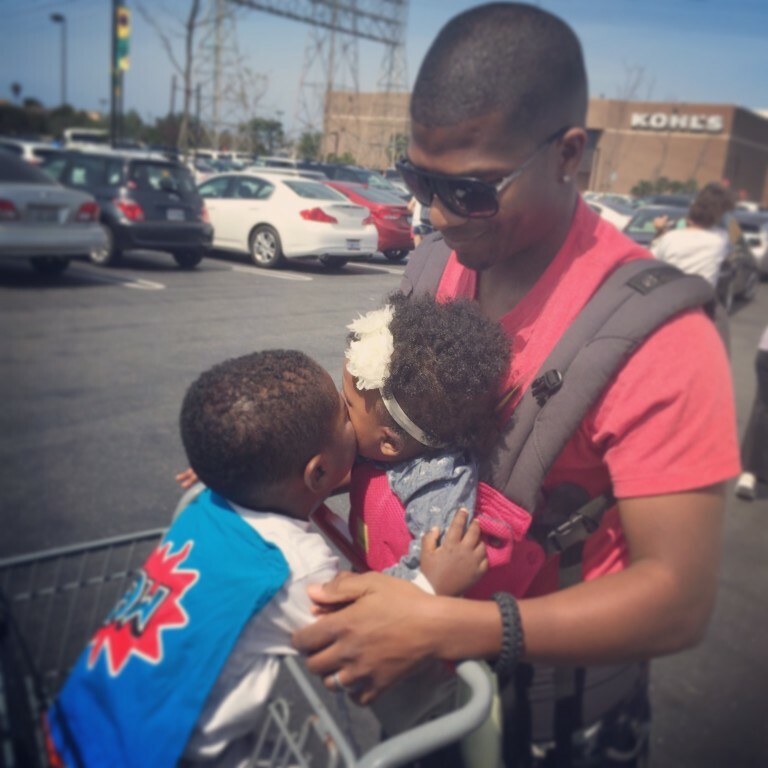 One of my favorite features is the variety of ways in which I can carry my kids in the carrier (many of the Líllébaby carriers have 6 carrying positions). Most importantly the Líllébaby customer service has been outstanding! A great product with great customer service makes for a happy mom and family; that definitely gets my business! When was the first time you met Líllébaby? I'd love to hear your story. #WhenIMetLíllébaby. Do you own a Líllébaby, if so which one? How many do you own? Rather you've met Líllébaby, or you have not experienced Líllébaby yet, or you have a library of Líllébaby in your closet, we want to keep the Líllébaby love going! I've teamed with a few fellow mamas that luv Líllébaby as much as I do for a giveaway!! 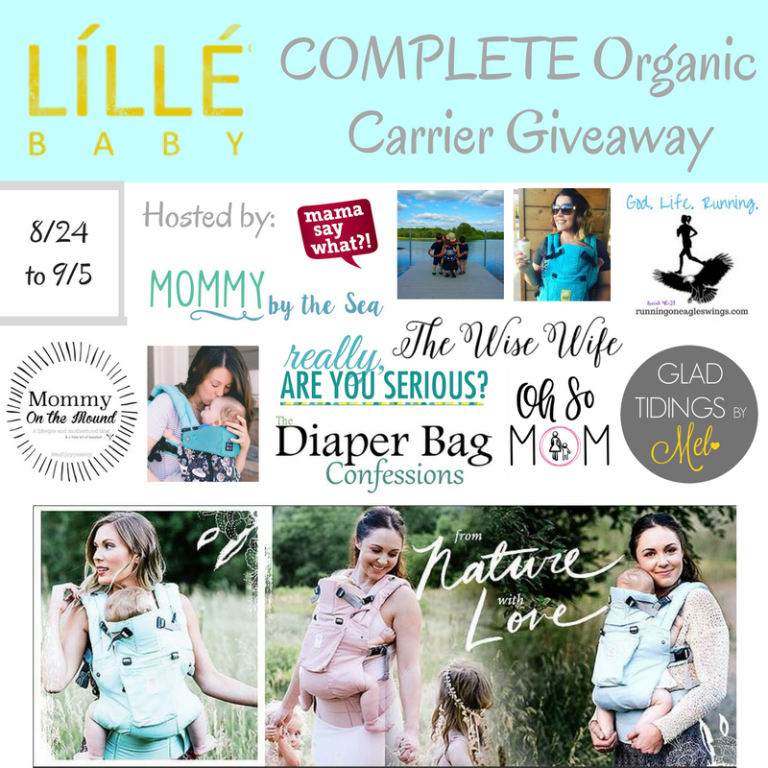 You can win a new Complete Organic Carrier!!! The new colors are Powder Blue, Blushing Pink, Sea Glass, Green Meadows, and Blue Moonlight. Enter for you or a friend. Líllébaby makes a great gift! Tell a friend. You can enter to win a LÍLLÉbaby Carrier now!!! Open to US and Canadian Residents 18 years of age and older. Disclosure: I received no payment for this post. All opinions are my own. Affiliate links are included. Jan 13 We Love LÍLLÉbaby Giveaway!